There seems to be a lot of movies about elephants coming out this year. Water for Elephants, One Lucky Elephant, The Woman with the Five Elephants - 2011 seems to be the Year of the Elephant. Despite my love for the novel, I was disappointed by Water for Elephants. 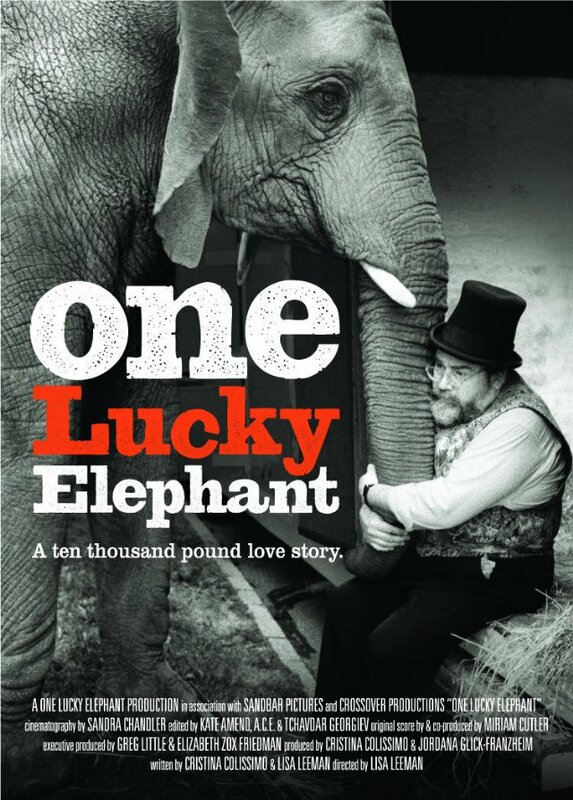 Going into Lisa Leeman's remarkable new documentary, One Lucky Elephant, I had no such expectations. In fact I knew very little about it. But I came out not only pleasantly surprised, but deeply moved. 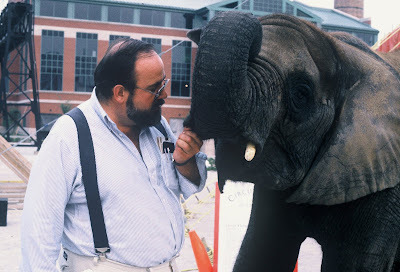 It is one of the most deeply pleasurable documentaries to come along in a long time - a totally endearing, decade spanning love story between a man and his elephant that reaches down deep and touches us in wonderful and unexpected ways. It's a real life Water for Elephants that is somehow everything I wanted that film to be but never was. Its protagonist may be a three ton pachyderm, but it's one of the most human tales you're likely to see on the big screen this summer. David Balding and Flora, as seen in the documentary ONE LUCKY ELEPHANT, directed by Lisa Leeman, produced by Cristina Colissimo & Jordana Glick-Franzheim. Courtesy of David Balding. 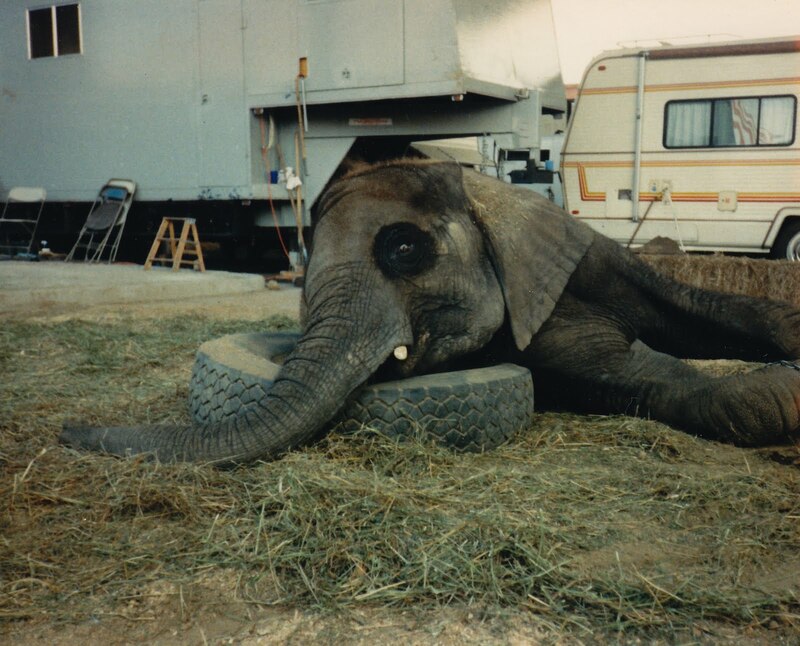 For 16 years, David Balding and his elephant Flora have been performing in the Circus Flora, Balding as her owner and the circus' owner, Flora as the star attraction. Not having any children of his own, Flora has in a way become the daughter he never had, filling a void in his life he never realized was there. But after 16 years, he begins to come to the painful realization that Flora no longer enjoys performing, and that being with him may not be the best thing for her. So he decides to retire her, and begins making arrangements for a new, permanent home for Flora amongst other elephants, something he wishes that he would have done long ago. However, finding Flora a new home proves more difficult than Balding anticipated, and deeper than that, parting with her is the most difficult task of all. Balding likens it to watching a child leave the nest and go off to college. But when he finally finds an elephant sanctuary that will take her, he is forced to make some difficult decisions that could separate the two of them forever. It's a heartbreaking reminder that sometimes the hardest part of love is letting go. Flora, as seen in the documentary ONE LUCKY ELEPHANT, directed by Lisa Leeman, produced by Cristina Colissimo & Jordana Glick-Franzheim. Courtesy of David Balding. It only runs a brief 81 minutes, but its emotional impact is huge. One Lucky Elephant is a tender and thoughtful examination of the plight of animals in captivity, especially those in circuses and zoos whose lives completely revolve around humans. As deep as the bond between Balding and Flora runs, she has never truly been allowed to be an elephant, and she almost seems torn between the wild and the human world when she is finally allowed to be with her own kind. Eventually she becomes caught in the middle of a debate about her own well-being, after being diagnosed with Post Traumatic Stress Disorder, and Balding must sacrifice his right to visit her completely in order for her to move on. Shot over the period of a decade, the film evolved into something even the filmmakers could not have expected. It's a disarmingly emotional tale, an epic drama played out on an intimate scale. Make no mistake, this is a love story, but a love story with wide ranging implications. It's about animal rights, it's about humanity's role in the lives of the animals we choose to care for, but ultimately, it's about how far we're willing to go for love. You'll find no truer or more empathetic documentary on the big screen this year. One Lucky Elephant is a treasure. ONE LUCKY ELEPHANT | Directed by Lisa Leeman | Not rated | Opens Wednesday, June 8, at the Film Forum in NYC.